In two talks recorded in August and January 2011, we explore the work of female comic book publishers and their work in the medium. In a Q and A recorded at the Imperial War Museum, Alex Fitch talks to Eileen and Francesca Cassavetti, about Eileen’s wartime diary Philip and Helena which Francesca republished recently in comic book format plus in a talk recorded at Laydeez Do Comics, Corinne Pearlman discusses her work for the Jewish Quarterly, her publishing endeavours with Myriad Editions and her design and editorial work for Comic Company, which produces healthcare information in comic strip format. Continuing our month of shows about War Comics, we’re proud to broadcast a final panel discussion recorded at the ‘Comics and conflicts’ conference at the Imperial War Museum, August 2011. Alex Fitch chairs a discussion on ‘The personal and the political’ as the publisher and two of the contributing artists – Sean Duffield, Daniel Locke and Ben Naylor – talk about their anthology War: The Human Cost. They are also joined on stage by writer Eileen Cassavetti and cartoonist Francesca Cassavetti who published her mother’s wartime journal Philip and Helena in comic book format. Panel Borders: War (comic), what is it good for? War (comic), what is it good for? 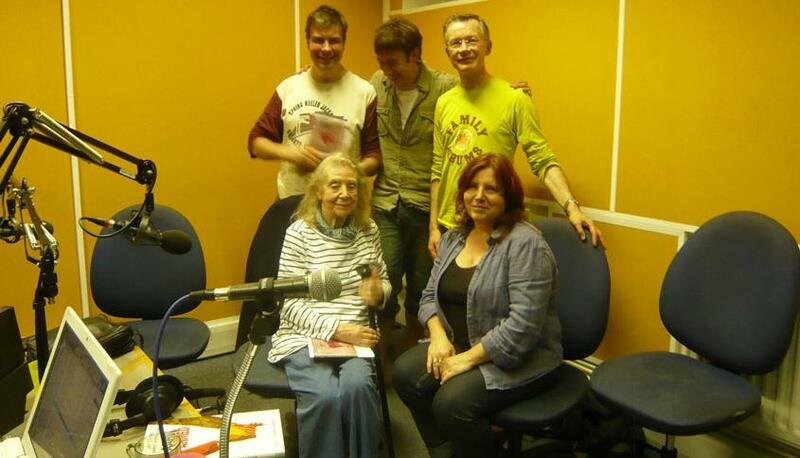 In an episode of Panel Borders previously broadcast as a live ‘Clear Spot’ on Resonance FM, Alex Fitch talks to Paul Gravett, Ariel Kahn, Eileen Cassavetti, Francesca Cassavetti and David Blandy about about the importance of war comics in culture and bringing the experience of war and conflict to new readers in a way that text alone can’t fully realise, plus the forthcoming Comics and Conflicts conference and events at the Imperial War Museum. Paul and Ariel discuss classic war comics and Francesca and Eileen talk about publishing the latter’s war time diary in comic book format, plus, in excerpts from a couple of classic episodes, Alex talks to Garth Ennis, and Grant Rogers interviews Pat Mills about Charley’s War.